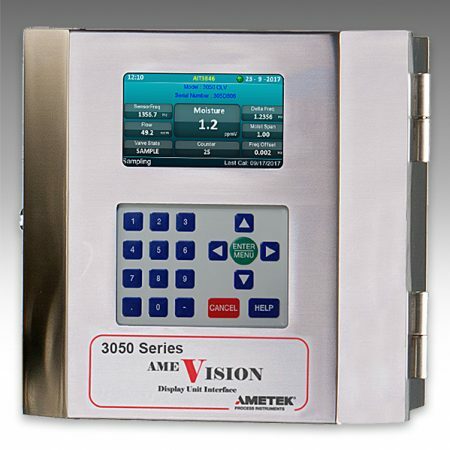 METEK Process Instruments has broadened its AMEVision communication and display system capabilities to include the 3050 series of moisture analyzers. Originally designed for WDG-V analyzers, the AMEVision system provides real-time moisture measurements and trend data while also detailing a variety of maintenance and troubleshooting information. AMETEK Process Instruments offers analyzers based upon 11 differentiated technology platforms for use in a variety of markets including oil & gas, power, pharmaceutical manufacturing and semiconductor chip manufacturing.